This is the Hoover Dam with Lake Mead behind it. If you look at the white band above the lake you can see how low the water level has dropped with years of drought. 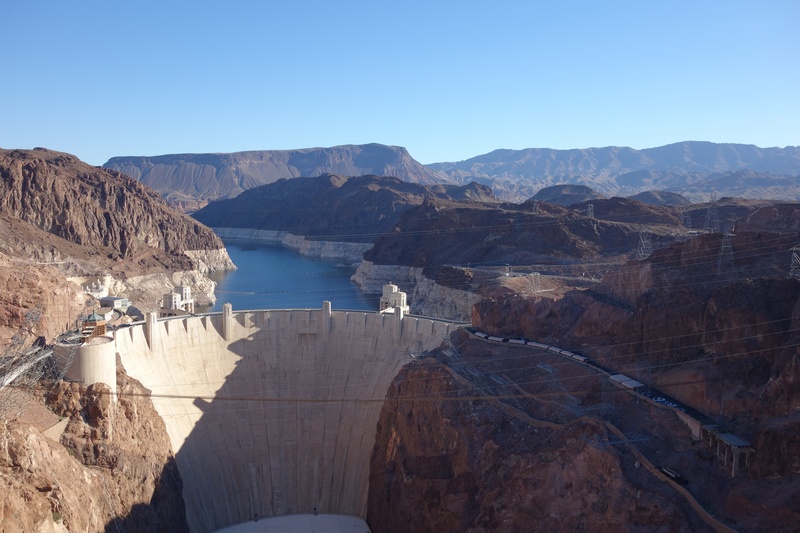 The original Boulder Dam was built in the 30s during the Depression. Thousands of workers flocked to the site for work. The Dam was renamed after President Hoover – it provides hydroelectricity and water. This photograph shows the scale of construction with the original road. There is now a bypass which makes it safer for tourists to look at the dam. 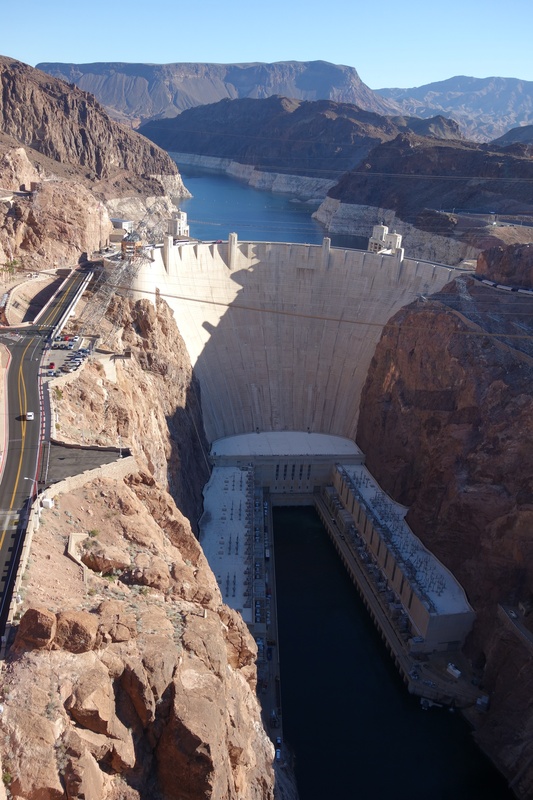 Although it is a miracle of modern engineering, there is always an ecological cost to pay when you divert a river (the Colorado River). We waste so much of our most precious resource on the planet – water. 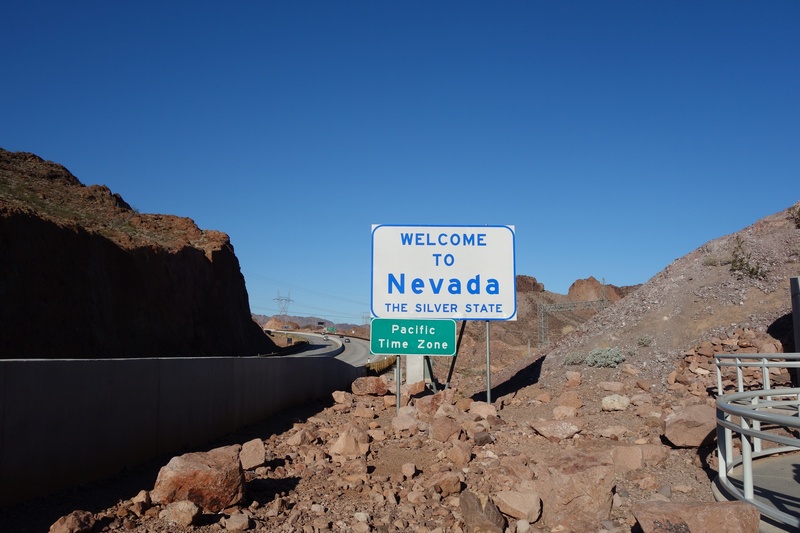 I am standing in Arizona looking at the impossibly blue sky of Nevada. None of my photographs have been altered. The light is fantastic. This is my first glimpse of the Grand Canyon through the bus window. More on the trip from hell next time.